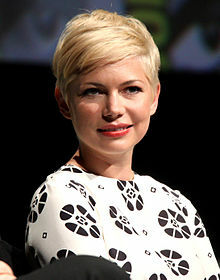 Michelle Williams is the perfect pixie. So, you’re thinking about getting a pixie cut? When Jennifer Lawrence lopped off her hair into a pixie last year, it was the haircut heard ’round the world. Soon, it seemed as if every Hollywood starlet was making the big snip: Julianne Hough, Kaley Cuoco, and Anne Hathaway, just to name a few. Even Pamela Anderson, who is arguably as famous for her flowing blonde mane as she is her bright red lifeguard buoys, took it all off. 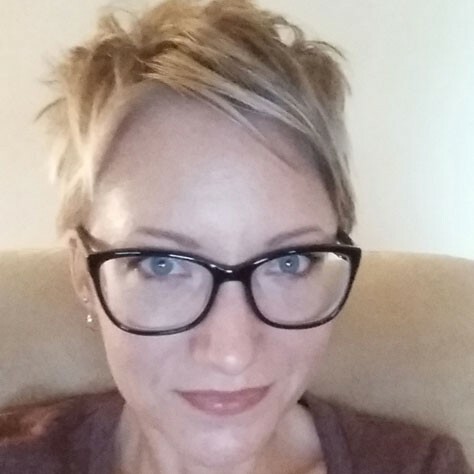 Six months ago, I finally worked up the nerve to go short, and now I’m going to tell you everything you need to know about getting a pixie haircut. I wish someone had told me these things before I ventured into the world of short hair. Instead, I had to take a Xanax an hour before my appointment and hope for the best. You might think you know what style of pixie haircut you want, but you’ll probably need to tweak the cut after you live with it for a couple of weeks. I walked into my salon with pictures of Jennifer Lawrence’s hair from every angle imaginable. I was in love with her style and Jennifer’s look was what made me want to get my hair cut in the first place. But here’s the thing – I don’t look like Jennifer Lawrence. It turns out that there is a reason I haven’t had bangs since elementary school. I hate them and they drive me crazy. A lot of pixie haircuts have heavy bangs, oh so artfully swept to the side. Also, longer pixies tend to be fussier and take longer to style. Ain’t nobody got time for that. I went back to my stylist a few days later and had her lighten up the bangs. The next time I went in for a trim, I decided I wanted it shorter all over. It took a few tries to dial it in. I bet you’re looking forward to rolling out of bed with cute, perfect hair! Forget it. When you look in the mirror first thing in the morning, you’re going to have Chris Farley looking back at you. Your hair will be standing straight up, with flat patches here and there depending on how you slept. You can no longer just throw your hair into a ponytail and go either. You could put on a baseball cap if you’re in a hurry, but with no hair to stick out the back, be prepared to look like a twelve year old boy. I used to go six months between haircuts when I was growing my hair out. When your hair is past your shoulders, three inches in length doesn’t make much of a difference. When you have a pixie haircut, four weeks’ worth of growth is the difference between looking chic and resembling a homeless person. Even if you think your hair grows slowly, you’ll be surprised at how quickly your hair grows out and becomes hard to style. You have to keep your cut maintained. At $50 a pop, I was going broke getting my hair done every three weeks at my fancy salon. That’s how I ended up switching to a no-frills barbershop around the corner from my house. (I had already taken the big plunge and cut most of my hair off, so I was kind of fearless at this point.) Lucky for me, the owner had been cutting hair longer than my previous stylist had been alive, and he razored away at my hair with the speed and precision of Edward Scissorhands. When it was all over, I had the best pixie haircut I’ve had since deciding to make the chop and it was only $17 including tip. It has been six months since I cut my hair into a pixie. There were rough patches in the beginning, like when I realized that if I don’t blow dry my bangs in the right direction, I look like Joffrey from Game of Thrones. And before I discovered the barbershop down the street, monthly trims at the salon were putting me in the poorhouse. That’s all under control now. So, there is everything I wish I would have known before getting a pixie cut. Now you can stop pinning celebrity pictures onto your Pinterest account and just do it already. After all, life is too short not to take chances, but it’s too long to put up with a bad haircut.